Homebuyers can move quickly and achieve extreme savings with the latest promotion from Coventry Homes. During the builder's Xtreme Sales Event, Feb. 8 - March 31, buyers will receive up to $79,000 in savings on more than 50 select inventory homes located in well-appointed communities throughout the Austin area. Homes are move-in ready and many are equipped with multiple upgrades and structural options, including hardwood floors, media rooms and Texas-sized patios. The savings continue even after buyers have moved in as every Coventry home are LEED-certified through the U.S. Green Building Council. This initiative requires homebuilders to follow strict mandates resulting in homes that use fewer natural resources, less energy, less water, and creates less waste. The builders were the first in the Austin area to utilize these standards in every home. 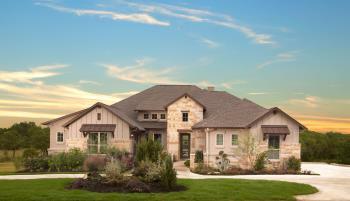 Homes are located in highly amenitized communities such as Wolf Ranch in Georgetown and Sweetwater in Austin.